Read to Chaz! Our Certified Therapy Reading Dog. 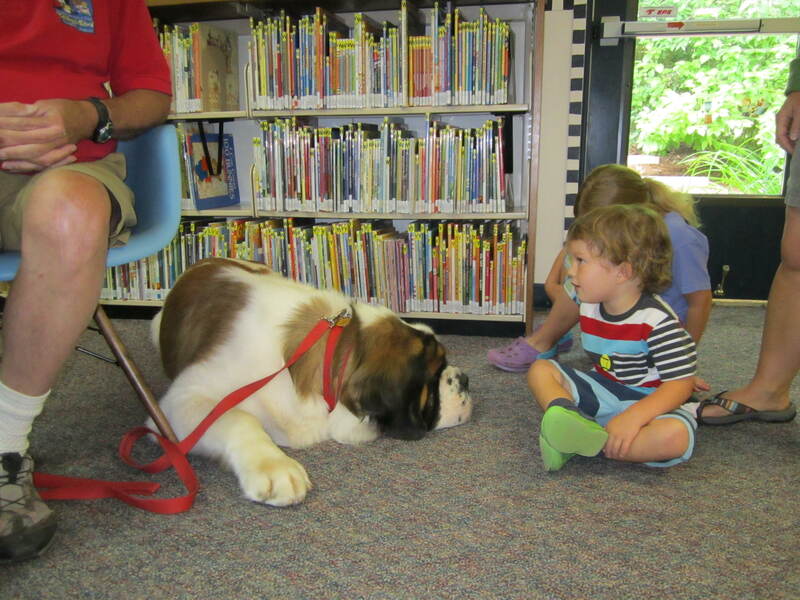 Kids, come to the children’s area at Interlochen Public Library on the 2nd and 4th Wednesday every month from 4 – 6 pm, to read to Chaz, a 120 pound St. Bernard. Chaz is a certified therapy reading dog and loves to listen to children read. Readers will enjoy a relaxed and fun environment to sound out letters and experience the joy of reading.